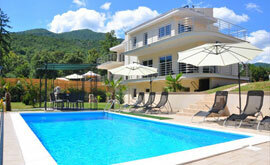 Latest Villa and Apartment offers with up to 50% off. 4 bedroom Brac island villa sleeps 7-11. Book by 31st March and save 25% on all stays. Book 5/6 nights between 26 Jul – 1 Aug and save 10% at this 5 bedroom villa with pool near Dubrovnik. Save up to 50% off selected dates at this villa sleeping 10 near Opatija. Min stay 7 nights. Offer ends 15th Feb.
Save 10% on selected dates at this villa with pool near Pula sleeps 8-10. 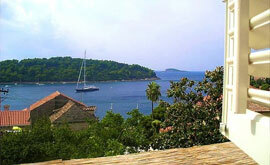 Cavtat villa sleeps 4-6. Book by 31st March and save 10% on all stays. Save 15% at this villa with pool in Kvarner region. Offer ends 31st March.